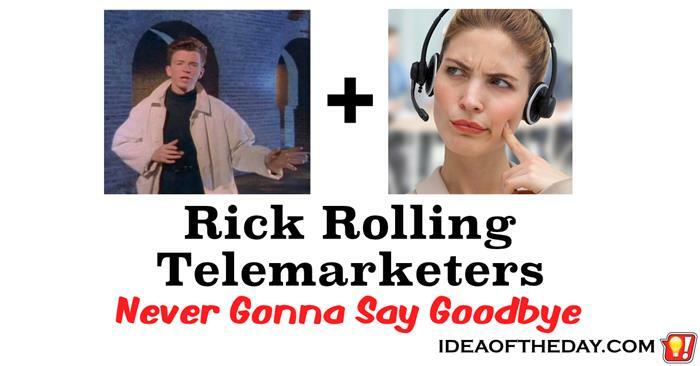 Don't you just love telemarketers? Although I'm on the National Do Not Call List, almost every call I get on my home phone is from a telemarketer. On a typical day, I may get one or two calls from people I know and at least ten from telemarketers. That's crazy. Even though I have caller ID, I still answer the phone every time, so I can ask them to remove me from their list. My thought process is that if I didn't answer, they would just call again and again. By asking to be removed, I expected fewer calls. That wasn't the case. The calls keep coming.